Norris Intermediate students have become virtual explorers in the classroom with the use of Virtual Reality (VR). Virtual Reality is a digital 360-degree picture or video that simulates a realistic experience. VR incorporates spatial, auditory, linguistic, and kinesthetic learning styles to provide a range of experiences that students would not have otherwise. Virtual Reality opens doors to so many opportunities that students may never have in traditional settings. Students can research a topic such as Mars by using books or the internet, but with virtual reality, a student can visit Mars! This type of exposure to content solidifies the students learning and brings about a high level of engagement. 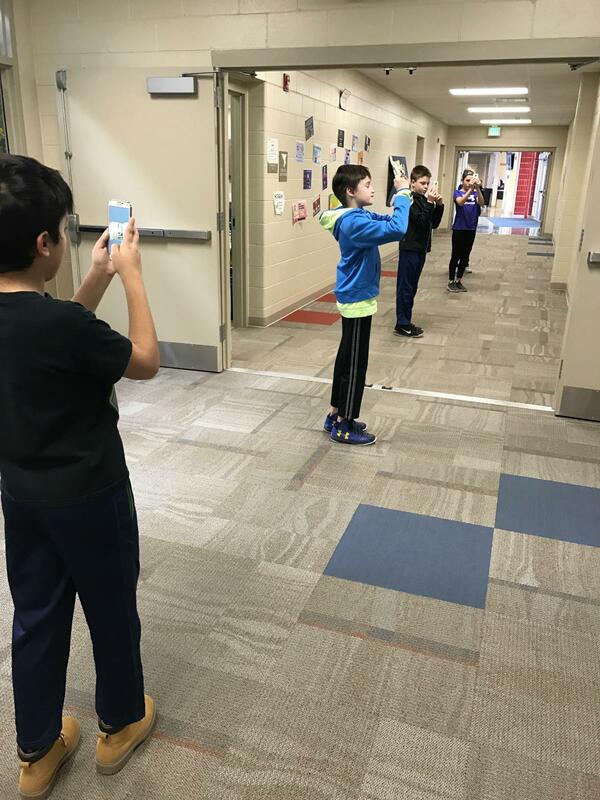 In order to bring virtual learning into the classroom, technology teacher Mrs. Mitchell applied for and received a SEED grant from the Norris Foundation and additional funding to fulfill the project was provided through PTO. These two groups helped to purchase the equipment needed to complete the virtual reality lessons. Students use used smartphones along with master virtual reality goggles to participate in lessons involving virtual reality. Fifth-grade students have also worked to create their own virtual tours of the Norris campus. They have been taking many 360-degree pictures and worked to compile the photos, in order to update what Norris’ campus looks like as a virtual tour on the web. Visit the following websites to see the hard work the fifth-grade students have completed in order for visitors to have a 360-degree view of the intermediate school. Visit the two google maps websites to see the work of our fifth-grade students.